We are a content writing service provider for social media posts writing, personal profile content posting and submissions among others. Need Help with Social Media Profile Content Posting? Social media is a platform that has always helped the public to interact with one another, but now it has gone to an extent of helping people conduct businesses. Interacting with customers who you intend to win and have them buy your brand doesn’t always happen without being consistent, innovative and impressive. Reliable profile content writing is what we do for many business-minded people, who are ready to explore the world of social media but then they do not have the time or skills in that area. Considering that the social media is free to use or maybe goes at a very fair cost, has a more potential audience, genuine help with social media postings will make it possible for you to penetrate and utilize the web profiles to your benefit. A good social media strategy has the capacity to attract a growing audience who can improve your business drastically. Creating compelling content on your platform will help you acquire more and more audience. You need to have experts to carry out your social media posting in a professional way. That will help you ease your worries of how to craft content. You will also have enough time to focus on the day to day running of your business. With expert’s help, you can add visuals to your platforms for maximum interaction with the target audience. Professional will help establish a consistent tone on your content according to the relevant media. On LinkedIn, the tone should be more serious than on Twitter. Experienced experts will help you with writing posts in a more conversational manner to keep the reader more engaged in them. With professionals assistance, you will keep a consistent posting schedule so that the audience can know when to expect content. For the best interaction between your business and the audience, reach out to professionals with social media posting expertise. Need to Learn about Social Media Posting from Experts? Social media includes applications and websites that act as an intermediary or communicative agent that enables people to share information, interests, ideas, and expressions. It is a platform where individuals can share their thoughts and beliefs freely, therefore, participating in social networking. In some other cases, people might (not) be aware of the illegal posting on social media. This might be in regards to the language one uses in posts and posting other people’s pictures without their consent. Social media protocols are very important to observe mainly if you are a key influencer. These protocols extend to social media marketing. You should familiarize yourself with professional social media posting techniques if you want to succeed in advertising over the social media. So many people use social media for advertising and marketing. This is because it is a cheap way of advertising; one just needs the correct content and the knowledge of having the right quantity of message and its value to post on these platforms. Article-Web Content Writers has social media posting professionals that can best help or guide you on posting on social media platforms. We know what is necessary for the right content that is both qualities and optimized to feature organically. You need to know that it requires optimized content and postings for your social media profile to be authoritative online. Our only request is that you give us the chance to hold your hand through the hustle, by exercising our skills and help write quality profile content that will help you convince the customers of your brand’s worth. We are always ready to offer the best, which is boosted by the availability of researching and writing skills. Giving us the chance to offer social media posting assistance will highly enhance your standing out and as result be able to reach more potential clients in a wide range. A good profile has the capacity to inform a reader about a person or a business. For the case of a business, it is important to write profile content expertly in the best way possible. We are a firm with writers that are excellent in drafting premium-quality social media profiles. Our writers are reputed with drafting SEO friendly profile content. Our experts are familiar with SEO guidelines. That’s why when they help with writing your profile content they ensure it will be as descriptive as possible and well optimized with keywords and links. We have professionals who write original social media posts. Reading the same posts can be boring to the audience. That is why our professionals will write new and unique information on a constant basis. It will also encourage the readers to keep visiting your platform. You are guaranteed of error-free profile content. Content with errors can make your information hard to read and understand. It will have a negative effect because the audience will not finish going through something they cannot digest. Our experts will write social media posts in a simple language. Complex terms have a tendency of leaving people hanging. To avoid that, professionals will use simple vocabularies that are well understood by the readers. Any person who owns a social media account would like to have some consistency in their posts, therefore would have to know when and what to post. One’s social media account profile helps other social media users to get more information concerning the respective person/business. Therefore, learning the best way to write profile content is very important, especially if your profile is meant for business purposes. This is where one might need a professional profile content writer to handle all the posting involved in product marketing. Remember; you are seeking engagement with your audiences. Therefore, you need to share engaging and memorable content through your profile. You hence might need tips on and expert assistance with writing profile content. We are a team of professionals who do effectual profile content writing. We know how to study audiences and this involves identifying them from their location, occupation, and interests in order to post content that will appeal to them. Social media is very sensitive since you communicate to different kinds of people with different perspectives on opinions. 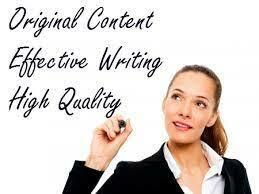 Therefore, we offer quality profile content writing services when you call on our assistance. The reason why many persons will choose our profile content writing services is not only to boost their businesses on social media but also to have personal bio pages and profiles to be expertly done. 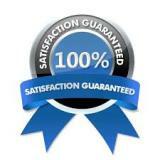 What you get from us will be highly satisfactory, all the directives you give shall be followed to the letter. Assistance with social media posting is done solely according to your taste, even though we are the ones assisting you we do not deprive you of the chance to publish what you want. We only add the right technical details and insight for the best results. We are a global helper that have seen many people improve the ideas they have on social media to engage with many clients or their audience which means that there is more to our profile content writing help. The prices are very affordable; there will be no hidden charges that will inconvenience you along the way. You have no reason to worry about your financial status; our services are discounted to favorable rates. On a 24/7 basis, you can check out our help with social media posting, we do this to ensure that no one is left out. Improve your business and make good use of social media with our assistance today.